Dine surrounded by lavish gardens washed in tones of green, while in the distance the sky melts into the sea. The menu artfully combines Asian and Mediterranean cuisine. 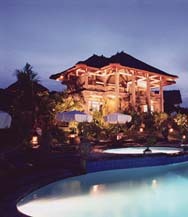 Relax and swim at our swimming pool, drink - snack and other food.